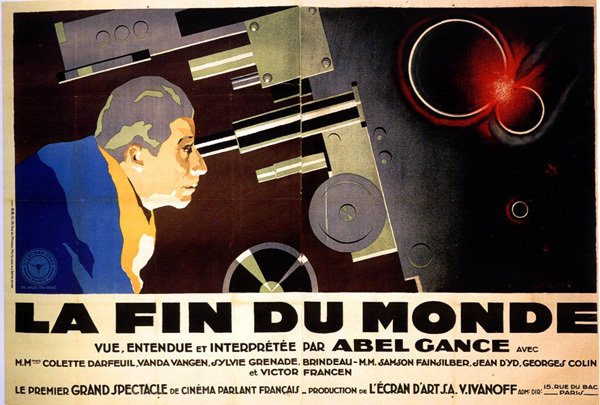 The End of The World (1931). Armageddon via: collision with a comet. This early sound picture from France adapted Camille Flammarion’s 1894 novel Omega: The Last Days of the World, examining the social and philosophical impact of possible human extinction. The scientist who discovers the impending disaster becomes a fugitive for inciting mass panic, a self-proclaimed prophet is locked away in an asylum, and businessmen begin profiteering — in other words, business as usual. The movie was unfortunately butchered by heavy editing, and flopped worldwide. Armageddon via: collision with a rogue planet. 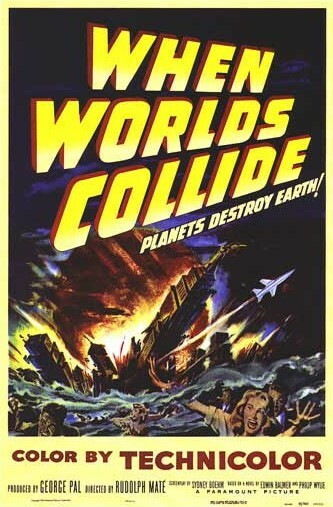 A classic from legendary producer George Pal (The Time Machine, The War of the Worlds) in which a philanthropist and greedy industrialist fund an astronomer’s plan to build a rocket ship so that a portion of humanity might survive on the planet that’s about to destroy ours. A fantastic social study, it works as both an Atomic Age parable on nuclear war and as the ultimate metaphor for white flight. 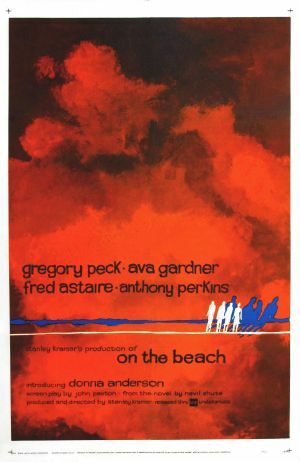 Stanley Kramer (Judgment at Nuremberg) directed and Gregory Peck, Ava Gardner, Fred Astaire, and Anthony Perkins starred in this dire drama about the sole survivors of World War III, holed up in Australia and awaiting inevitable doom via the radioactive fallout drifting their way. An intriguing relic of the Cold War, the fact that it’s a little dated doesn’t detract from its powerful emotional impact. Armageddon via: a science experiment gone awry. 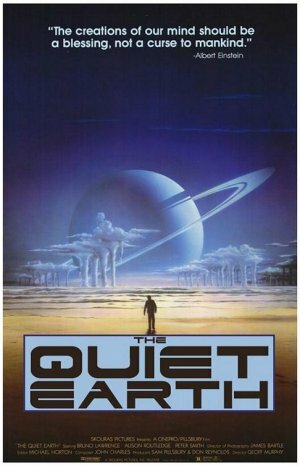 A movie that begins with the end of the world, or rather the immediate aftermath when a New Zealand scientist (Bruno Lawrence) wakes up one day to find himself alone in the world — literally. After a lengthy bender and brief bout of madness, he sets out in search of survivors, with interesting results. Based on the novel by Craig Harrison but bearing a closer resemblance to The World, the Flesh, and the Devil (1959), it’s a cult classic from Down Under, with one of the best ambiguous endings. Anthony Edwards (ER) and Mare Winningham (St. Elmo’s Fire) star as a Los Angeles couple who meet cute, make arrangements to see each other again, and then race against time to find one another before nuclear Armageddon levels the planet. Told mostly in real-time, its unlikely combination of romance and nuclear war is a heady one. It was popular with critics but (pun intended) bombed at the box office; it lives on as a cult favorite. 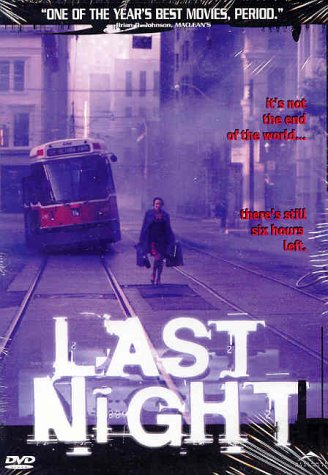 Filmed and set in Toronto, this Canadian flick follows an ensemble cast of characters as they spend their final night on a doomed Earth: a utility company owner (David Cronenberg) makes courtesy calls to his customers, while his wife (Sandra Oh) makes preparations for their suicide pact; a widower (Don McKellar) surrounds himself with mementos of his dead wife, while his friend (Callum Keith Rennie) works through a checklist of sexual experiences. 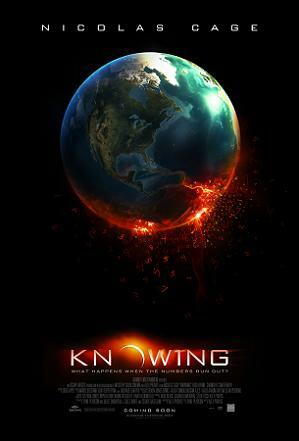 One of the most understated, stoic, poignant, and strangely uplifting doomsday movies ever made. Armageddon via: collision with 7-mile wide comet. Elijah Wood discovers impending astronomical disaster and Morgan Freeman plays the original black POTUS stuck in a no-win situation. 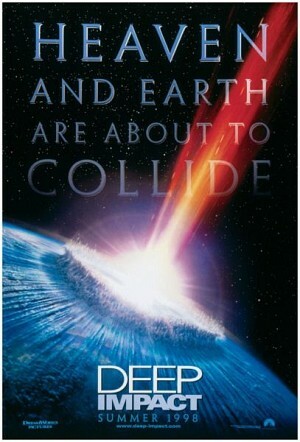 Mimi Leder’s disaster epic was released the same year as Michael Bay’s Armageddon, it did not score as well as the box office but was lauded for having more scientific credibility, and for not sucking as much. Armageddon via: massive solar flare bakes the planet. 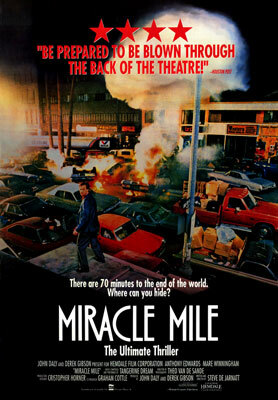 Nicolas Cage discovers a prophetic time capsule that predicts a number of disasters — including one big, fat, final one. There’s not much he can do about it, but fortunately aliens arrive in time to save the world’s children. (Everyone else is fucked, however.) Director Alex Proyas (The Crow, Dark City) went for a mix of realism and fantasy that doesn’t fully pan out but at least gives Cage ample opportunity to do what he does best: alternate between hyper-mania and depression. Armageddon via: weather and tectonic disruptions via solar flare. 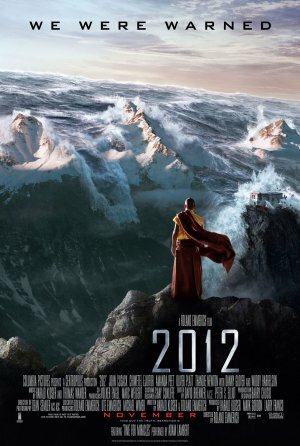 Disaster movie master Roland Emmerich (Godzilla, Independence Day, The Day After Tomorrow) apparently spent his career working up to this epic catastrophe, which follows a geophysicist (John Cusack) as he struggles to save his family while the world literally falls apart around him. Emmerich piles on the pseudoscience and finds yet another way to destroy the White House on film. The director decided this would be his last disaster flick, and yet he’s working on Independence Day 2. Leave it to Lars von Trier (Dogville) to make an end-of-world flick even more of a downer by throwing in a pair of embattled sisters (Charlotte Gainsbourg and Kirsten Dunst), the latter of whom is in the grips of a deep depression symbolized with the wayward planet in a death-dance with Earth. 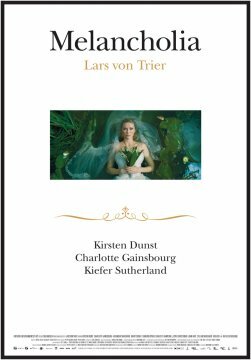 Nevertheless, von Trier’s is a captivating, highly watchable film that showcases stellar performances from Dunst and Gainsbourg. 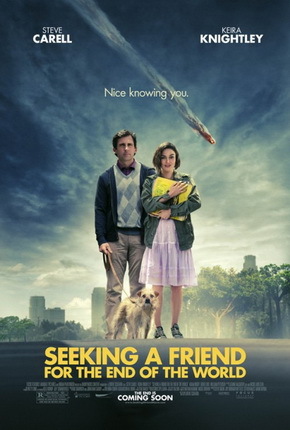 Seeking a Friend for the End of the World (2012). Dodge (Steve Carell) finds himself alone when his wife leaves him on the eve of Armageddon. Deciding to drive across the country to find his high school sweetheart, with his quirky neighbor (Keira Knightley) along for the ride, and finds true love right before the world explodes. (Finally, a rom-com I can relate to.) Bittersweet and effective, with an odd sort of happily ever after ending.